Signed as a free agent on Feb. 4, 2019. 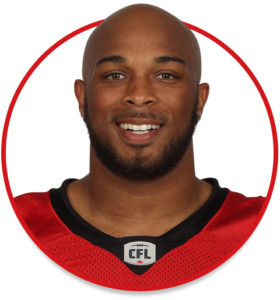 Norman originally signed with the Stampeders on Aug. 31, 2017. He was released on Oct. 4, 2018. Norman was signed as an undrafted free agent by the National Football League’s Denver Broncos on May 6, 2016, and attended training camp. He was released on Sept. 3, 2016. He signed a futures contract with the Oakland Raiders on Jan. 2, 2017. He attended the Raiders’ mini-camp and was waived on May 9, 2017. (Calgary) Norman spent the first three months of the season on the Stampeders’ practice roster before being activated for a Sept. 15 contest in Hamilton. He recorded one special-teams tackle in that game. He returned to the practice roster before being released on Oct. 4. (Calgary) Norman played three regular-season games and recorded one defensive tackle and one special-teams tackle. He had two special-teams tackles in the Western Final and also dressed for the Grey Cup. Norman played 49 games over four seasons (2012-15) at Duke. He played safety for his first three seasons before making the switch to linebacker. He excelled at his new position, making 114 total tackles including 8.5 tackles for loss and adding one sack, two forced fumbles, one interception and four pass breakups. He was named third-team all-Atlantic Coast Conference following his senior season. Over the course of his career with the Blue Devils, Norman recorded 240 total tackles, 13 tackles for loss, four sacks, four forced fumbles, one interception and seven pass breakups. He was named to the conference’s all-academic team in 2012. Norman played football and basketball at University Christian School in Jacksonville, Fla. He was named first-team all-state in Class 2A by the Associated Press following his senior season. He has a degree in philosophy.